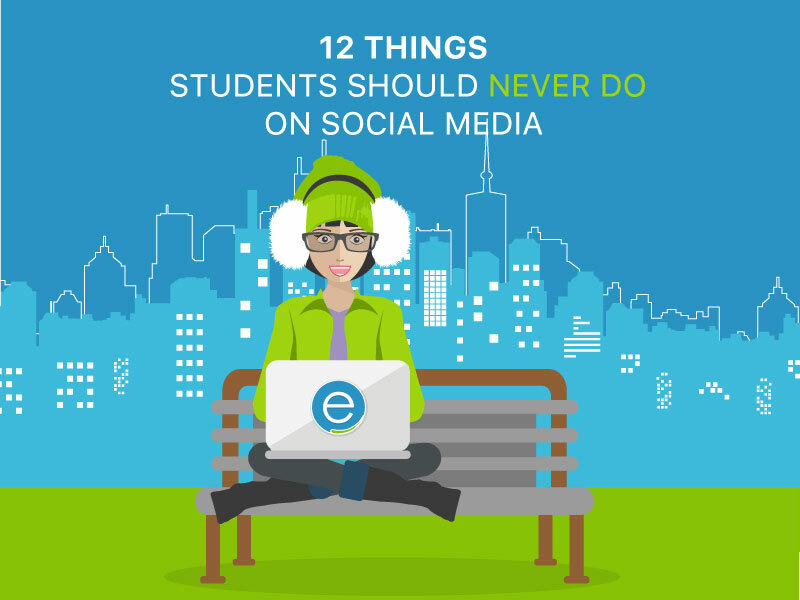 No matter are you finishing up college or just starting high school, social media should be reconsidered with great responsibility, as irresponsible social media behavior does have a negative impact on your education and career, and it’s a fact. Once you’ve posted a video of trash-can tipping adventure, the consequences can be damaging to the rest of your life. The reason is you become vulnerable for criminal prosecution and of course for school expulsion. You may say that your profile is private, but that doesn’t guarantee anything. Your friend is able to download and save incriminating stuff that the authorities or he might use against you then. That’s why you should review all content and information on your social media profile thoroughly. Bullying has become a real disaster in schools of the modern world. All those violence, depression, discrimination among the student body and suicides are terrible. Don’t take a risk and avoid any online spaces as blogs or forums for hurtful speech, as this is a serious criminal prosecution as well as the risk of expulsion. Don’t even think of posting embarrassing photos of them or poorly speak about them. Your teachers do deserve respect and privacy no matter what. Besides, do you really think it’s a good idea to post a negative comment about your teacher? Are you a suicide bomber? You should be careful not just with teachers, mind also persons of authority in general and institutions. As then, just one wrong tweet might do a lot of harm to your college acceptance. All computer activity which has no relation to coursework (social media use, etc.) is prohibited in many schools on campus. You shouldn’t think that a status update there and a tweet here will work. No, it won’t, and every school has adopted systems with the help of which IP addresses and logins are tracked. When we say about confidential information which shouldn’t be posted by anyone, not just students, we do mean that! Let’s imagine the situation like this: you have asked your professor about an extension of your term paper’s deadline because of your “sick” aunt that you wanted so much to visit. Instead, you went away somewhere with your friend to have fun and post a status and photos on Facebook and Instagram. What do you expect after your returning? Is it something good, really? It is a big fat F that’s what you’ll see, and don’t make that surprised face. Really, it was so predictable. If you have even the slightest thought of lying even a bit about your academic/professional achievements when applying to an internship or college, we will say forget about that stupid thing to ever make! As they will be investigated, you shouldn’t have any doubts about that. The same goes for investigating your social media for cheating or charges of plagiarism. Social media isn’t the right place to perform your violent thoughts and frustrations. No matter what the situation is threatening someone is an extremely serious thing, even when it’s anonymous, as the authorities do have the right to investigate as soon as a threat has been located. If you really want something not to be seen, don’t post it on the Internet, that’s the point. You shouldn’t have high expectations for privacy settings with no regard for privacy improvements most major social networks update. It’s an absolutely normal thing when sometimes we react without thinking about the consequences. We all do that as it’s a human nature. We do or say something and then regret. But when it comes to social media, you should take some time, breathe, and think as posting something angry and stupid might feel right only at first. Then you might realize that your tweet or your post might have affected someone’s feelings – even if your worst enemies, it isn’t worth that and you know about that. Watch your emotions to limit the potential harm the wrong emotions might create. School policies differ according tothetype of school (private vs. public), religious affiliation, geographical location, gender (co-ed vs. single-gender), etc. Hence, social media policies and technology vary greatly for nearly every school. Behavior accepted at one school is the reason for expulsion at another. That’s the reason why you should be very careful with the material you are posting with no difference of the variety of social media as it reflects upon the school. In other words, bear in mind that some sensitive subjects like euthanasia, homosexuality, abortion, birth control, or divorce should be avoided. Remove every questionable photo from your Facebook when you are searching for a job. It’s an essential thing to do! Social media examination means you should be ready that a company will look into your story don’t doubt that! Even if you have the most private social media profile, employers will see the red flags. We are living in the age of transparency, do yourself a favor and take care to have a professional profile.